International Culinary Center in New York’s SoHo district. It’s no secret that New Yorkers love to eat…and explore new restaurants. I recently discovered a fabulous find nestled on a well-traveled, lackluster corner in Soho. I’ve passed it dozens of times and never took notice. That will teach me a lesson! The building houses the International Culinary Center, a 30-year old cooking school for professionals and serious amateurs alike. 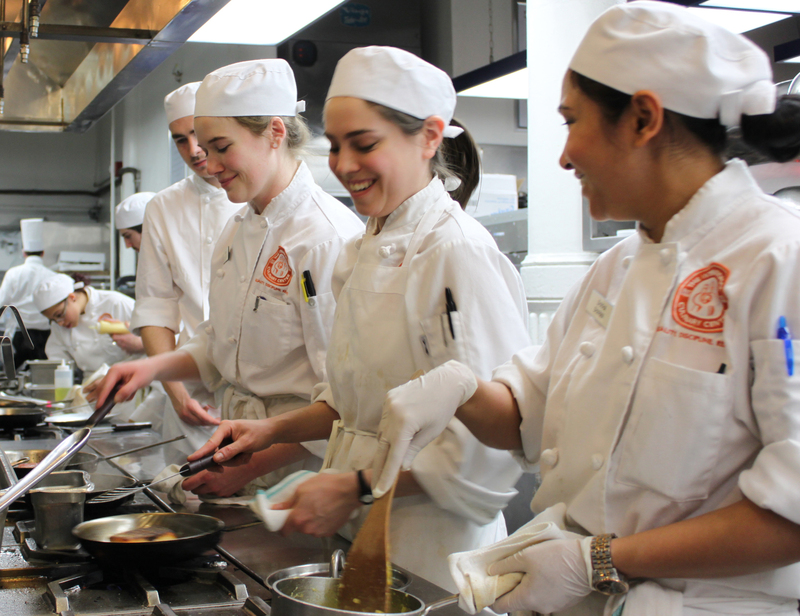 With programs both here and abroad, master chefs teach their techniques in state-of-the-art kitchens and classrooms. There’s a course of study for just about every interest, from pastry to bread to food media. That first class in 1984 was attended by a young and eager Bobby Flay. But if you want someone else to do the cooking for you, don’t miss dining at L’Ecole, the in-house restaurant for the school. 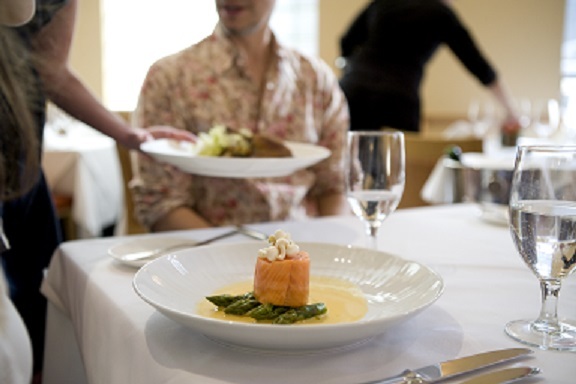 With food prepared by top level students and chef-teachers, the offerings are sophisticated and elegant. My recent lunch was a sublime three courses beginning with a vegetable terrine, moving onto perfectly prepared duck breast in a red wine-shallot sauce and ending with a chestnut cake garnished with Parmigiano gelato. I couldn’t rave enough to everyone I know. The restaurant serves lunch, dinner and Saturday brunch, with menus that change regularly. This is one place that is worth a special trip downtown to just relax with friends or celebrate a special occasion. NOTE: As a special incentive for readers of this site, when booking your reservation at L’Ecole please ask the reservationist to note that you saw L’Ecole in “Everett Potter’s Travel Report.” As a VIP guest you will receive the Chef’s selection of an additional savory and dessert course per table. 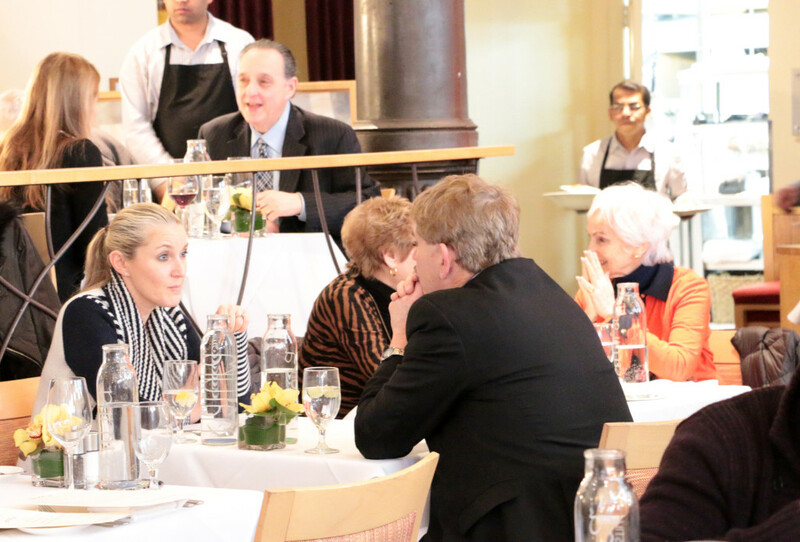 Offer expires August 31, 2014.
International Culinary Center in New York's SoHo district.